Facebook and Instagram – two of the most popular channels for influencers – took almost a full day to return to full functionality last week. The outage underscored the current risks of an influencer marketing program, say experts. When the blackout hit, the South by Southwest conference in Austin, Texas, was in full swing, with many PR pros onsite for client activations. Influencer campaigns are usually planned in advance, from roughly sketched out content to be posted to launch date, notes Missy Voronyak, group director, social media and influencer engagement at W20 Group. Due to the social channels being down, some brands couldn’t start their SXSW social initiatives as planned. W2O Group was largely left unscathed, however. Most of the agency’s health-focused clients at SXSW were targeting a B2B audience with thought-leadership messages. "We were focused mostly on Twitter and LinkedIn anyway," says Voronyak. "But what would have made this a challenge for some brands was the fact that both Facebook and Instagram reach consumer audiences, are owned by the same network, and went down simultaneously." When it comes to a back-up plan, she says, brands can pivot to social channels not affected by an outage or pause the entire campaign. Additionally, most contracts with influencers allow for flexibility in such scenarios. Of the two options, Voronyak says she favors the second. "Influencer campaigns today are best when integrated, using a combination of Instagram, Facebook, Twitter, and YouTube, and so while you could zero in on one platform, a campaign tends to be most effective and reach more of the target audience when it is multi-channel," notes Voronyak. While it is a rare event for a social media channel to go down for an extended period, there have been some instances during key times for retailers. For example, Facebook and Instagram went down ahead of Black Friday last year. Last week’s technical glitch, the longest in the social media channels’ history, provided a stark reminder of the drawbacks of having social media consolidated with few companies, says David Richeson, SVP of digital innovation and influence at Allison+Partners. While Facebook dominates social sharing with Instagram and Facebook, Google controls the online search space and YouTube, the most popular platform for video-sharing. "Google and Facebook [own] almost everything except for Twitter," says Richeson. "So as things consolidate, an outage is emerging as more of a challenge than it might have been when it does happen." With Facebook-owned properties largely out of commission for 17 hours due to server issues, a spokesperson for Twitter declined to share with PRWeek whether the platform enjoyed a usage uptick over this timeframe. But Facebook and Instagram actually took to rival Twitter to use it as a crisis comms tool during the outage. 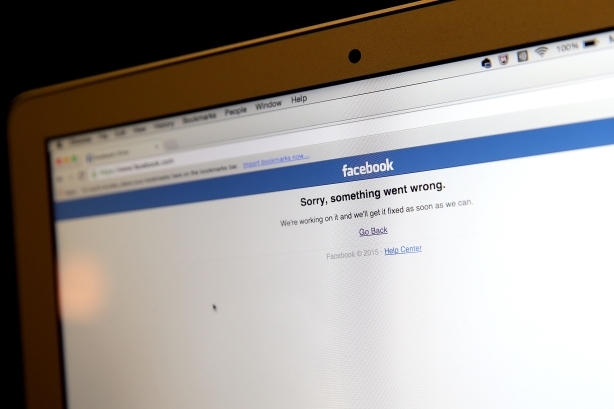 The hashtag #facebookdown also began trending on Twitter. We’re aware of an issue impacting people's access to Instagram right now. We know this is frustrating, and our team is hard at work to resolve this ASAP. While Facebook initially told media it was investigating the "possibility of refunds for advertisers" that had planned campaigns for that day, Facebook’s corporate comms manager Joe Osborne told PRWeek in an email this week that the social network is "not sharing any details about brand impact or refunds at this time." Influencers were also shaken up by the temporary shutdown, particularly those who rely mostly on Instagram to communicate with their followers. According to a study from social media marketing firm Hashoff, 92% of influencers planned to make Instagram their number one area of focus in 2018, followed by Facebook and YouTube at only 2.7%. The events of last week are a reminder to influencers of the danger of relying too much on one social channel. Influencers must be sure to cultivate their owned channels, such as a website and blog, as well as building followers across platforms, say experts. Still, that is easier said than done. Amanda Green with her husband Kevin is behind the food and travel blog, KevinandAmanda, which boasts an Instagram following of about 80,000. KevinandAmanda has sponsored posts for brands such as Walmart and is invited by tourism boards globally to chronicle their travels. Green says she realizes her blog’s fanbase should be extended to other channels, but notes that she and her husband focus on the channel that yields most engagement. "We have a decent amount of followers on Facebook and Twitter [at more than 280,000 and 49,000, respectively], but engagement is not very high," says Green. With more than 725,000 subscribers on YouTube, she says they could be doing more video, but adds "videos are so much work." Her point: influencers naturally have strength and an affinity with one platform over another. If a brand is working with multiple influencers, "it’s always a good idea to diversify, maybe partner with one who has high engagement on Instagram, one with high engagement on Facebook and YouTube, and then one on Twitter," Green advises. "Because if you’re only working with one influencer, there’s always a risk that the site is going to do down and leave you with little to do but post as soon as it comes back up." Joe Gagliese, cofounder and managing partner of Viral Nation – which started as an influencer marketing shop, has grown into a full-service agency, and includes as clients Energizer (for which it is AOR), Match.com, and Ubisoft – says a short-term shutdown is the least of a brand’s concerns right now when it comes to navigating the ever-evolving social media arena. "These platforms are big and mighty and go through a lot of changes, but from a marketing and influencer perspective, a short, temporary shutdown isn’t really going to hurt anybody in the long run because you can just run the posts the next day," he says. "Still, for any influencer, it is a good idea to be thinking about expanding to different platforms and for brands to look and work with those influencers who are always looking to learn." New platforms are already emerging that could play a role for brands and disrupt the duopoly. One example: TikTok, a short-video app owned by Chinese company ByteDance. "Hundreds of millions of people are on TikTok, young people really enjoy it, and so those types of platforms can evolve," says Gagliese. "I suspect the next platforms will have a lot of the same features as to what the four or five giants have right now."